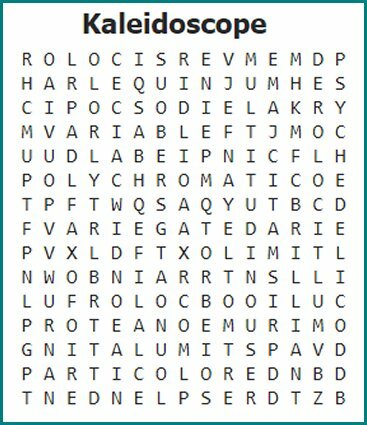 There are 20 words hidden in this Kaleidoscope Word Search. 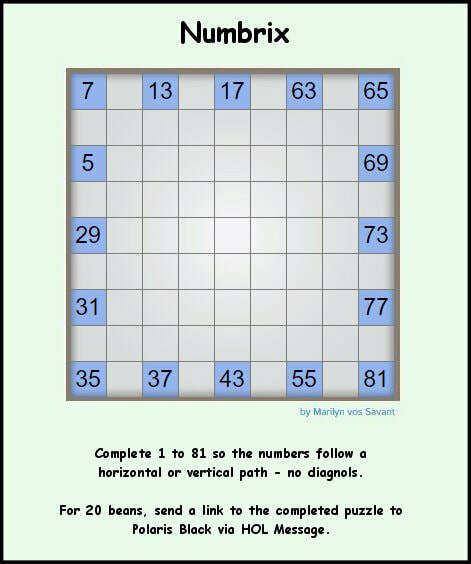 I will award 1 Bean for each word found for a maximum of 20 Beans. If you would like the word list, I will award 1 Bean for every 2 words found for a maximum of 10 Beans. 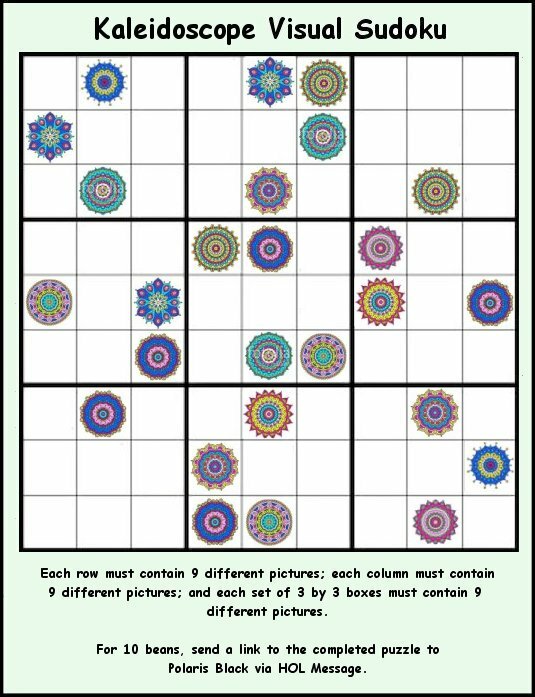 Please send a link to your completed puzzle to Polaris Black via HOL message.